Tickets for this event are currently not available. Please call the Box Office at 212-933-5812 (M-F, 10am-6pm) for more information. A limited number of $45 rush tickets will be available on the day of each performance at the Box Office beginning at 12:00pm (limit two rush tickets per person). There is an in-person cancellation line for tickets returned to the Box Office two hours prior to the performance start time. Patrons will leave their names on a list in the order that they arrive. Names will be called from the list if any tickets become available. Armory Chairman’s Circle members at the Bronze level and above receive access to house seats to select sold-out performances. To purchase house seats or become a Chairman’s Circle member call (212) 616-3958. Please note there is a limit of six tickets per person. Any orders placed that exceed this limit will be cancelled without notice and the tickets will be invalid. To purchase tickets for a group, please call (212) 933-5812. 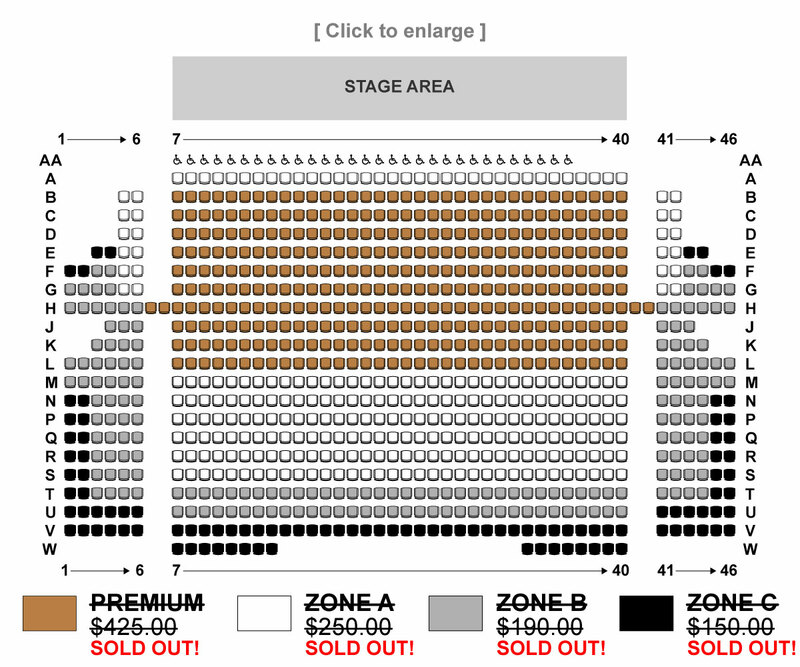 Select a price zone and we will choose the best seats for you. You will be able to review your seating location before finalizing your purchase. Any zones that do not appear in the list are unavailable. Please move to Step 3 for general admission events.